Dun & Bradstreet (D&B), provider of global business information, knowledge and insight, recently launched its edition of D&B India's study on 'India's Top Banks 2012'. The 'Dun & Bradstreet - Polaris Financial Technology Banking Awards 2012' seeks to recognise the growth and resilience of the Indian banking industry. Kaushal Sampat, president & CEO – India, Dun & Bradstreet said, "There is no running away from the fact that in 2012, we are faced with a difficult domestic economic environment coupled with global uncertainty caused by the Euro-Zone crisis. This situation has posed many challenges to the banking industry, and this is reflected in our FY12 banking analysis covered in India's Top Banks 2012." 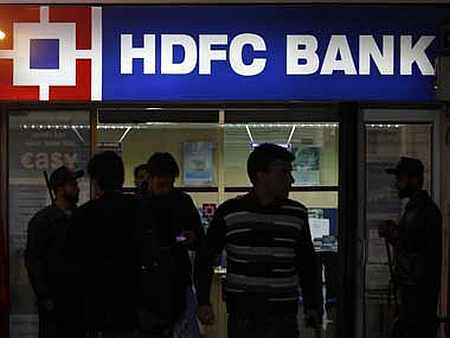 The Housing Development Finance Corporation Limited (HDFC) was amongst the first to receive an 'in principle' approval from the Reserve Bank of India (RBI) to set up a bank in the private sector, as part of the RBI's liberalisation of the Indian Banking Industry in 1994. Starting in 1908 from a small building in Baroda to its new hi-rise and hi-tech Baroda Corporate Centre in Mumbai, is a saga of vision, enterprise, financial prudence and corporate governance. The bank opened its first overseas branch in India, at Kolkata, on 12 April 1858. Eight years later the Kolkata agent described the bank's credit locally as splendid and its business as flourishing, particularly the substantial turnover in rice bills with the leading Arab firms. With the growth of the cotton trade and the opening of the Suez Canal in 1869, Bombay took over from Kolkata as India's main trade centre. 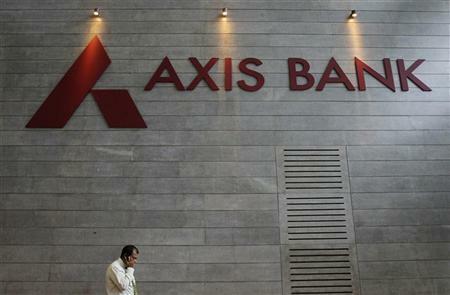 The Bank was promoted jointly by the Administrator of the specified undertaking of the Unit Trust of India, Life Insurance Corporation of India and General Insurance Corporation of India and four other PSU insurance companies - National Insurance Company Ltd., The New India Assurance Company Ltd., The Oriental Insurance Company Ltd. and United India Insurance Company Ltd. 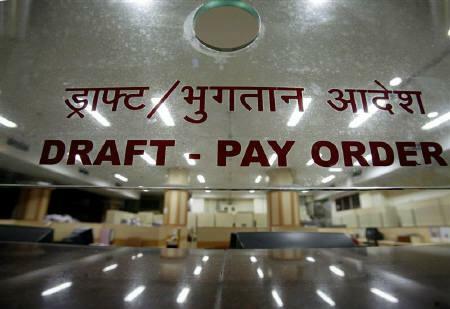 The Bank as on 30th June, 2012 is capitalized to the extent of Rs 414.29 crore (Rs 4.14 billion) with the public holding (other than promoters and GDRs) at 54.24 per cent. 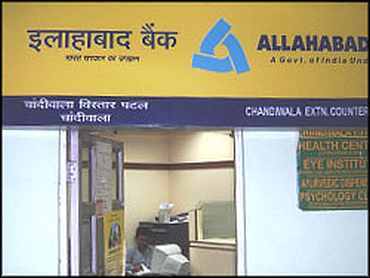 The oldest joint stock bank in India, Allahabad Bank was founded on April 24, 1865 by a group of Europeans at Allahabad. 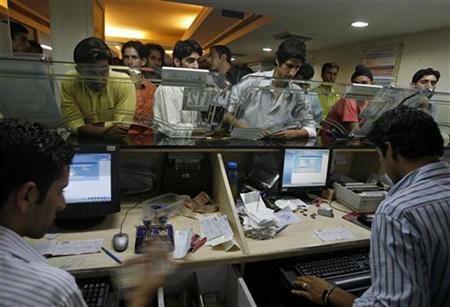 At that juncture organised industry, trade and banking started taking shape in India. 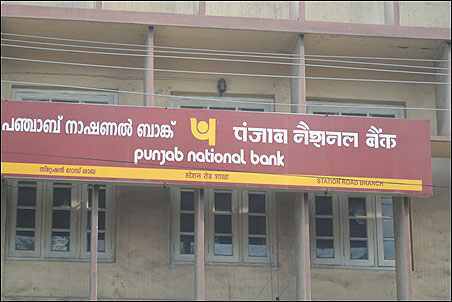 Punjab National Bank is an Indian financial services company based in New Delhi, India. PNB is the third largest bank in India by assets. 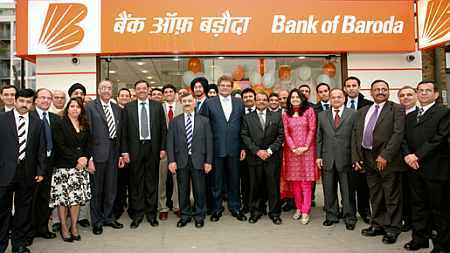 It was founded in 1894 and is currently the second largest state-owned commercial bank in India ahead of Bank of Baroda with about 5000 branches across 764 cities. 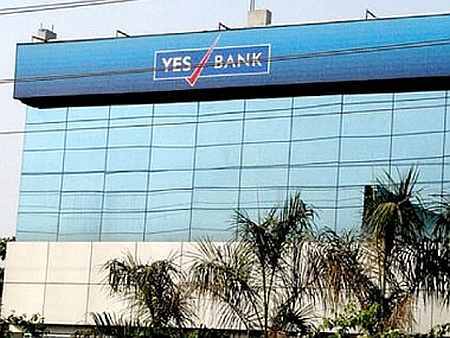 Yes Bank is a private bank in India. It was founded by Ashok Kapur and Rana Kapoor, with the duo holding a collective financial stake of 27.16 per cent. Headquartered in the commercial capital of Mumbai, DBS operates via a network of 12 bank branches across India in Bengaluru, Chennai, Cuddalore, Kolkata, Kolhapur, Moradabad, Mumbai, Nashik, New Delhi, Pune, Salem and Surat. 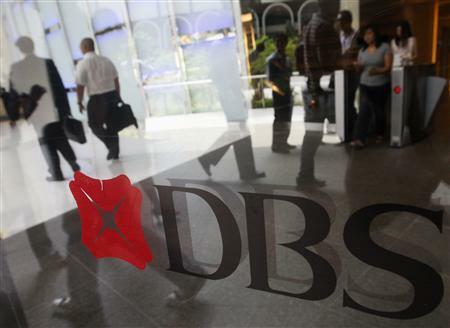 DBS Bank Ltd is a bank incorporated in Singapore. 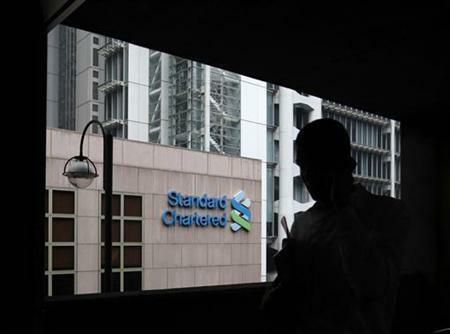 It was previously known as The Development Bank of Singapore Limited, before the present name was adopted in July 2003 to reflect its changing role as a regional bank. State Bank of India is the largest banking and financial services company in India by revenue, assets and market capitalisation. It is a state-owned corporation with its headquarters in Mumbai, Maharashtra. As of March 2012, it had assets of US$360 billion and 14,119 branches, including 173 foreign offices in 37 countries across the globe. 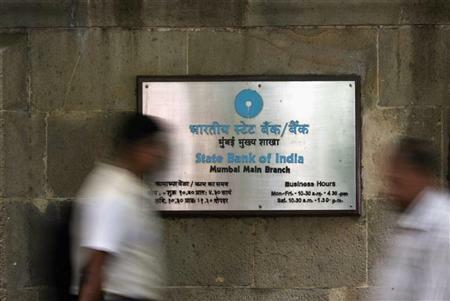 Including the branches that belong to its associate banks, SBI has 21,500 branches. 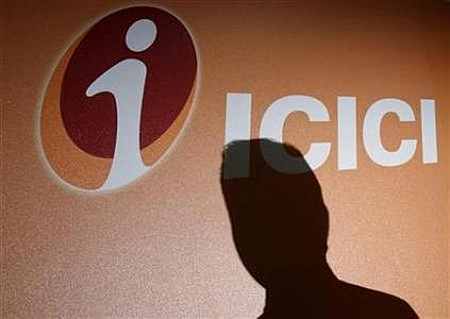 ICICI Bank is India's second-largest bank with total assets of Rs 4,736.47 billion (US$ 93 billion) at March 31, 2012 and profit after tax Rs. 64.65 billion (US$ 1,271 million) for the year ended March 31, 2012. The Bank has a network of 2,768 branches and 9,363 ATMs in India, and has a presence in 19 countries, including India. Bank of Maharashtra is the premier bank of Maharashtra, operating in the country of India. Registered on 1935 with an authorised capital of Rs 10.00 lakh, it commenced business in 1936. Known as a common man's bank since inception, its initial help to small units has given birth to many of today's industrial houses. Note: Image is used for representation only. 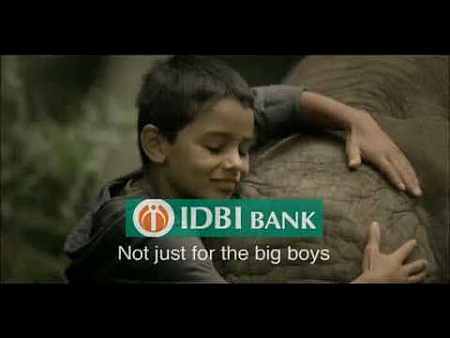 IDBI Bank Limited is an Indian financial service company headquartered Mumbai, India. RBI categorised IDBI as an "other public sector bank". It was established in 1964 by an Act of Parliament to provide credit and other facilities for the development of the fledgling Indian industry. It is currently 10th largest development bank in the world in terms of reach with 1514 ATMs, 923 branches including one overseas branch at DIFC, Dubai and 621 centres including two overseas centres at Singapore & Beijing. 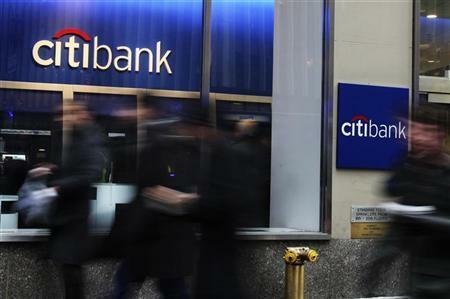 Citibank, a major international bank, is the consumer banking arm of financial services giant Citigroup. Citibank was founded in 1812 as the City Bank of New York, later First National City Bank of New York. As of March 2010, Citigroup is the third largest bank holding company in the United States by total assets, after Bank of America and JP Morgan Chase.